Previously, I had considered large lunette to be my goldilocks cup. However, after I got my IUD, I found removing the cup was difficult and painful. So I bought a cuplee. Kudos to Femininewear because it somehow took only 7 days for international post. I've had US amazon orders take longer. It's a really similar shape to L lunette but slightly smaller in all dimensions and really soft. I'm not having any trouble getting it to open because the rim is comparatively firm. I've tried the large fleur before and I didn't like it as much because of the shape. So if you like the large lunette but need something softer, I think cuplee is a better fit than fleur. My only concern is that it seems there are small "micro tears" in the inside of the cup if I look very close. I don't know if they were there before I wore it so I'm not sure if they are left over from the molding process or developing stress marks. 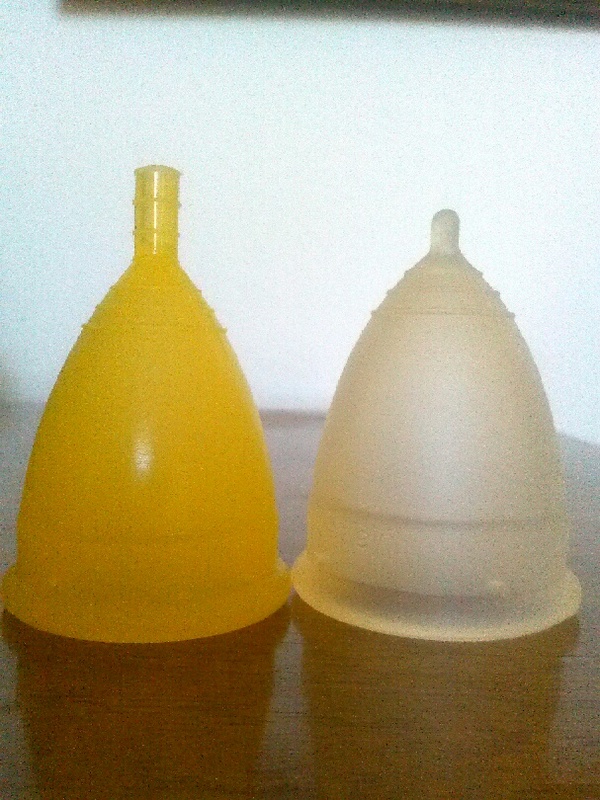 Do any cuplee users have these inside the cup? Oh dear, I hope it's not breaking down too fast, because I really like it. Is that a large Cuplee? I stand corrected, femininewear has small sizes available now.